In this Better TV segment, I show how to cut the chaos of holiday meal-time with easy steps, tips, and tools that anyone can use. Cut cooking time in half, but still enjoy all those classic home-made, family recipes that everyone loves and looks forward to for the holidays. Why is comfort food so good and why can it actually be good for you? 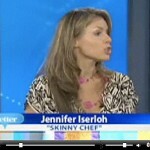 In this segment on ‘Better TV’, Jennifer showcased comfort food classics like mac and cheese and chili and explains how you can satisfy your comfort food cravings the skinny way. There’s no question that I like to cook, but I like entertaining even more. Testing out my healthy recipes on a hungry crowd is the best way to see which dishes are the most popular and to get feedback on flavors and textures. 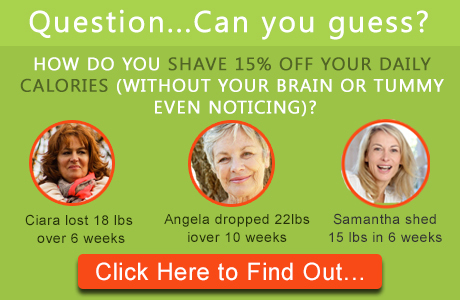 In this segment, you’re invited to one of my parties where my neighbors and friends taste-tested many of the recipes you can find on SkinnyChef.com. With the growing cost of groceries, many families are concerned that feeding their family healthy meals can be a balancing game between choosing nutritious food and maintaining their budget. 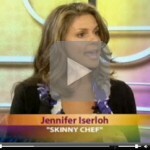 Watch Jennifer’s latest TV clip on how to save your waistline and save on cash at the same time! In a wide-ranging discussion with Better TV’s Audra Lowe, Jennifer highlighted her tips on cooking with readily available superfoods – watch the segment, and get her six recipes for popsicles, cupcakes and salsa! Skinny Chef Meets Betty Crocker? Ever wonder what baking at the Betty Crocker test kitchens is like? 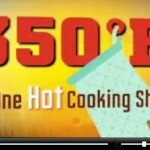 Find out by watching the new web series called ‘350 Degrees – One Hot Cooking Show’! I’ll be your host judge along with the talented Chef David Fhima and the glorious Kitchen Diva. 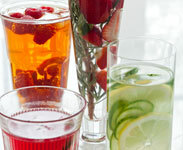 A healthy body can produce and sustain a healthy mind. That is the mission statement of Play 4 Life, a non-for-profit organization that I work with on a monthly basis. Why do I volunteer? Living healthy is more to me than just nutritious cooking or writing about health trends, it’s also about sharing the wealth with others. In this March 30 segment on New York’s CBS2 Sunday Morning News, Jennifer shared her popular ‘Avocado Chocolate Milkshake’ and ‘Guacamole’ recipes with Tony Tantillo.